Turkey is hiking tariffs on imports of certain US products in response to American sanctions on Ankara that caused the value of the lira to plunge, a decree published Wednesday said. Turkish Vice President Fuat Oktay said that the rises were ordered "within the framework of reciprocity in retaliation for the conscious attacks on our economy by the US administration". The hikes were published in Turkey's Official Gazette in a decree signed by President Recep Tayyip Erdogan. The move comes after US President Donald Trump announced that the United States was doubling steel and aluminium tariffs on Turkey, as the two NATO allies row over the detention by Turkish authorities of American pastor Andrew Brunson. 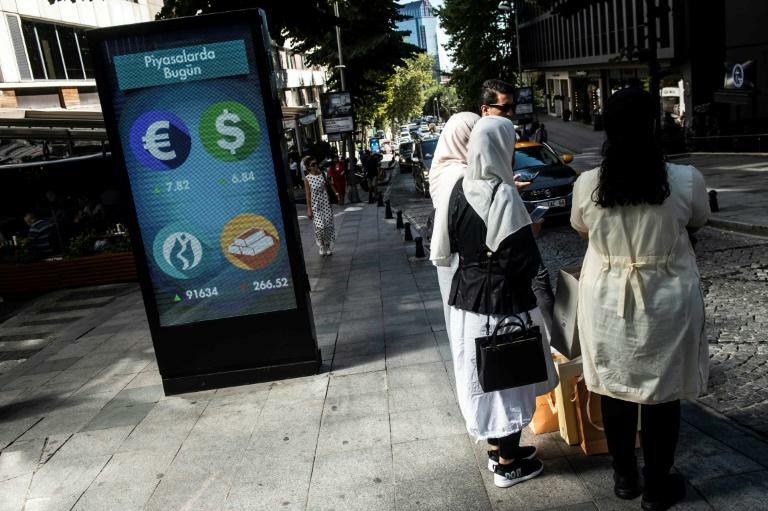 The tensions and the tariff hike by the United States have caused the Turkish lira to bleed value, fanning fears the country is on the verge of an economic crisis that could spillover into Europe. Erdogan has repeatedly described the crisis as an "economic war" that Turkey will win. The tariff increases amount to a doubling of the existing rate, the state-run Anadolu news agency said, in an apparent parallel response to Trump's move. The decree said the move brought tariffs to 50 percent on imports of US rice to 140 percent on hard alcoholic drinks like spirits, 60 percent in leaf tobacco and 60 percent on cosmetics. The tariffs on auto imports are now up to 120 percent depending on the type of vehicle. However the latest outburst of tensions did not so far cause harm to the lira, which on Tuesday clawed back some ground after losing just under a quarter of its value in trade on Friday and Monday.